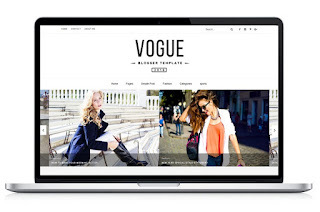 Vogue 2016 Blogger Template is a sleek & stunning blogger template which provides clean and minimalistic professional blog having new touch friendly Responsive design and layout for mobile and tablet devices.It is fully customizable and comes with some exclusive custom widgets specially developed to highlight your most important or latest content in a style. It well suited for daily fashion, lifestyle, Travel or hobby bloggers who just love to share their story or content, whether it’s about life, fashion, travel, or just a simple personal stuff. Vogue 2016 blogger Template has a beautiful and appealing design and very user friendly in nature.